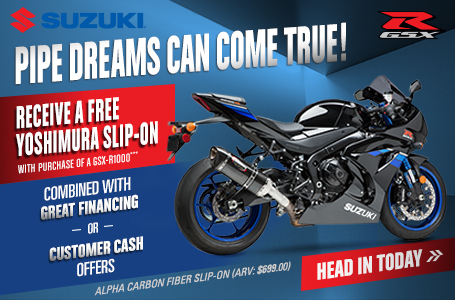 The powerful 1340cc, four-cylinder, DOHC engine employs Suzuki's advanced EFI with two 10-hole fuel injectors feeding each cylinder and dual ram air intakes in the nose of the aerodynamic fairing. 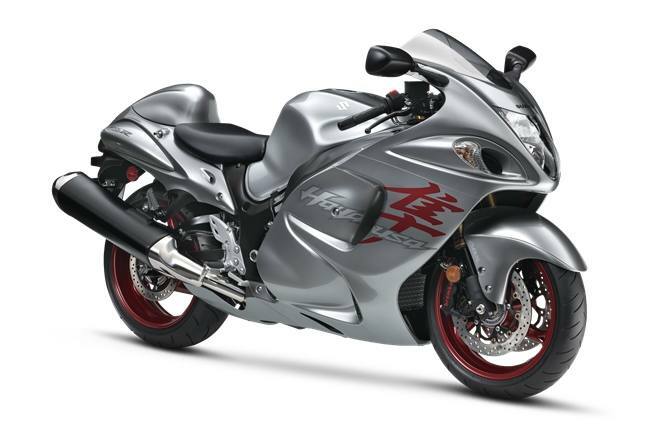 Suzuki Drive Mode Selector (S-DMS) lets the rider tailor the Hayabusa's power delivery to match the riding conditions. Instantly recognizable as a Hayabusa, the wind-cheating body was truly inspired by a peregrine falcon - the world's fastest animal. Suzuki's advanced fuel injection system with tapered, 44mm double-barrel Suzuki Dual Throttle Valve (SDTV) induction to improve combustion efficiency and smooth throttle response. Dual 310mm (12.2-inch) floating-brake rotors are mated with radial-mount Brembo monobloc front brake calipers. The calipers are lighter and more rigid than conventional bolt-together calipers, delivering better feedback, and are ?tted with larger pistons that increase initial bite for greater controllability. The hollow-type mounting bolts further reduce weight. Stylized Suzuki “S" 3-D emblems on the fuel tank and the fork upper bracket denote the quality, sophistication and performance legacy of the brand. Extension: Longer coverage periods with other benefits are available through Suzuki Extended Protection (SEP).